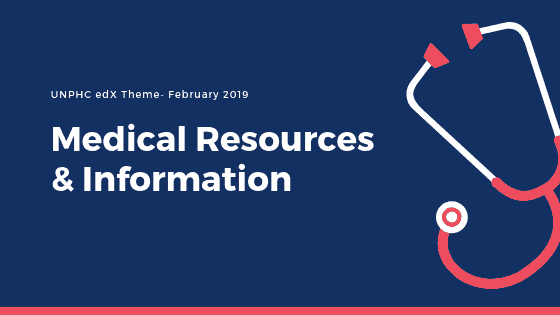 This month the UNPHC Edx theme is Medical Resources and Information. Taking responsibility for our own health is powerful. Understanding what resources are available helps us take charge. Living healthy and strengthening yourself helps you enjoy the things you love most. It’s never too late, or early, to start understanding your resources and becoming an active participant in your own care. And, don’t forget to join your property’s monthly UNPHC Edx session. The 3rd Thursday and following Saturday of every month at 3pm (unless notified otherwise). Think 3! Your managers will be delivering handouts with more info the first week of every month. Schedule an annual visit with your primary care provider and have check-ups when things don’t feel right. When speaking with your Doctor, tell them everything about symptoms, leave nothing out, they are putting together a puzzle, and need all the pieces. Public Health Programs in Utah are among some of the best. These providers deliver health care and other health-related services to the uninsured, Medicare, Medicaid, the underinsured, and other households that might have barriers such as travel, different cultural understandings, different languages, and economic issues. If you need translation services for any of these programs, or find a clinic that can help you, please call 801-538-6155 or 1-800-662-9651. Proactively improving and maintaining your health requires an open mind,https://health.utah.gov/safetynet/public/index.htm patience, commitment and conviction; all qualities we know our resident at UNPHC have in abundance!